Join Us in Sunny Florida for CAI's Premier International Gathering! Book Your Reservations Soon at Award-Winning Hotel. With 15 restaurants and lounges, the luxurious Rosen Shingle Creek offers guests a wide selection of cuisines. Rosen Shingle Creek features an award-winning steakhouse, fine dining Italian bistro, an elaborate buffet. and à la carte menu serving all meals of the day and everything in between—all in the beautiful setting of turn-of-the-century, Spanish-revival architecture. For a more rejuvenating retreat, there's the full-service, 13,000-square-foot Spa at Shingle Creek, with nine treatment rooms and an amazing menu of soothing services, as well as a state-of-the-art fitness center. The spa has been developed not just as an amenity for leisure and business guests but is a destination unto itself. We recommend flying into Orlando International Airport MCO. 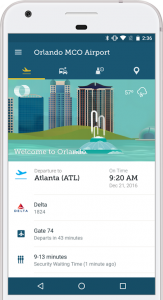 You can find helpful resources for the airport through their app, terminal maps, arrival and departure guides, and more here. >>Learn more about the MCO Airport here.